CactOLean™ is an all-natural, standardized fruit extract supports weight loss. It is derived from the pitaya cactus fruits, also called “dragon fruit” or “sweet desert fruit.” CactOLean™ is a powerful antioxidant and appetite modulator and supports lipolysis for the breakdown of lipids and fat. The unique metabolic mechanism of CactOLean™ has evolved in the harsh environment of the desert. The pitaya cactus “dragon fruit” provides an extract with a mechanism of action affecting metabolism and resulting in weight loss. The mechanism of action supports glycogenolysis and lipolysis, resulting in glucose moderation and appetite suppression. CactOLean™ provides remarkable antioxidant and weight loss capabilities. Sometimes called “dragon fruit” or “sweet desert fruit,” it is like kiwi fruit and is considered a superfruit. CactOLean™ is rich in antioxidants with vitamin C, polyunsaturated fatty acids, and B vitamins. 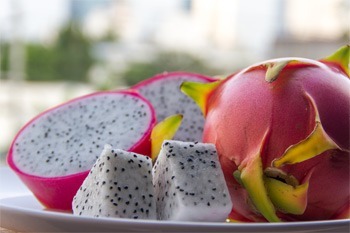 The dragon fruit has long been known for its thermogenic effects to maintain a high metabolism. It also stimulates glucagon and catabolism of our body’s energy and fat reserves. The fruit is also a mild diuretic to support the elimination of fluids and toxins. These CactOLean™ benefits support immunity, skin health, and the heart. CactOLean™ contains the enzymes Tyramine and N-Methyl Tyramine involved in appetite moderation and lipolytic mechanisms. These enzymes affect glucagon and insulin release in metabolism, resulting in a satisfied and ‘full’ feeling during meals. Lipolysis is the breakdown of lipids with hydrolysis of triglycerides into fatty acids. The lipolytic capabilities of CactOLean™ allow for lipolysis and breakdown of lipids and fat. CactOLean™ supports glucagon activation which results in the use of fat reserves; therefore, weight loss. It also helps to stabilize blood sugar levels by suppressing sugar spikes. Individual diagnosed as diabetic should consult with a doctor due to hyperglycemia effects. Manufacturing applications: dietary supplement capsules and tablets, and fine chemical form. The recommended dose is 200 mg. It is suggested to take no more than two capsules per day before meals. This may cause a person to eat less during the day.